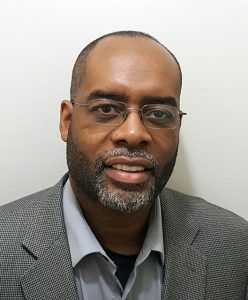 The National Alliance for Partnerships in Equity Education Foundation is pleased to welcome to its leadership team, Mr. Nokware “Nok” Adesegun as the Director of Grants and Development. In this capacity, Nok will provide leadership in NAPE’s efforts to secure and deliver funding to expand, improve, and implement its programs through national, regional and local sources; and obtain financial and other support to sustain NAPE’s work in building educators’ capacity to implement effective solutions to increase student access, educational equity, and ultimately workforce diversity. We look forward to Nok meeting our members and collaborators at this year’s National Summit for Educational Equity in April, if not before. Please join us in welcoming Nok to the NAPE Family! Nokware “Nok” Adesegun is a licensed attorney, holds a bachelor’s and a master’s degree in engineering, and has over twenty years of experience in the grant’s domain. He served as the Managing Director of Grants and Sponsored Programs for the American Cancer Society where he oversaw compliance for government and private grants. Nok has also served in various leadership roles in university research administration at several institutions of higher education. Nok’s experience extends to consulting with fortune 500 corporations such as Cisco (where he served as an advisor to its Public Funding Division); facilitating grantsmanship workshops on behalf of such organizations as the Grant Training Center and Management Concepts; and consulting with universities and community-based organizations in developing successful grant and contract proposals, having secured in excess of thirty million dollars over the past fifteen years. Nok’s home is just outside of Atlanta, Georgia.